Commemorating National Cat Day, on Thursday, October 29, 2015 from 11 am – 3 pm, local Uber app users can request a kitten visit to their office. We are delighted to provide a little love, laughter and fun to East Bay residents during the workday,” said Allison Lindquist, East Bay SPCA CEO. “This is our first year to participate in uberKITTENS. If it helps us find forever homes, all the better. 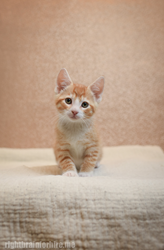 The East Bay SPCA is partnering with Uber for its annual uberKITTENS event. Commemorating National Cat Day, on Thursday, October 29, 2015 from 11 am – 3 pm, local Uber app users can request a kitten visit to their office. “Instead of tapping a button and getting a ride, UberKITTENS allows anyone with the Uber app a chance to tap a button and brighten up their work week. We are excited to bring back uberKITTENS for the third year in a row and help support our local shelter partners,” said Wayne Ting, Uber Bay Area General Manager. Once the request is accepted by an UBER driver, East Bay SPCA staff and an Uber representative in the car will bring a few kittens to the requestor for 15 minutes of snuggles and playtime. The event comes at the end of a long kitten season where the numbers of stray and surrendered kittens are up. Those interested in adopting kittens, cats dogs or puppies can view available animals on the East Bay SPCA’s website at http://www.eastbayspca.org/adoptableanimals. Proceeds from each uberKITTENS trip will benefit animals in need at the East Bay SPCA.